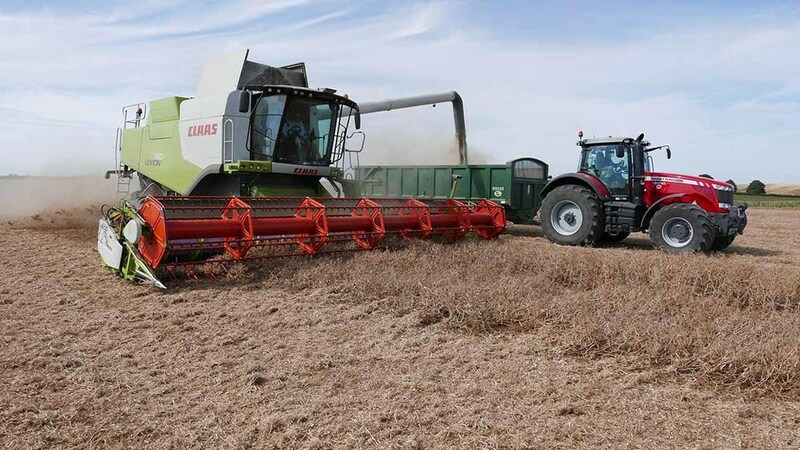 No stranger to record yield successes, Lincolnshire Wolds grower, Tim Lamyman, Worlaby Farms, has set a new world record yield with a 6.47t/ha (2.61t/acre) crop of large blue peas. The record-breaking crop was harvested on August 25 at 15.35 per cent moisture, having performed well throughout the season. It easily exceeds the previous world record of 5.21t/ha (2.1t/acre), which was achieved in Ireland. LG Stallion was the field pea variety of choice, selected for its high yield potential. Mr Lamyman opted to grow the crop on a field with record-breaking history. He says: “The chosen field for the attempt was a grade two chalky loam free draining soil, offering the potential to develop well-structured root systems, enabling easier nutrient uptake. The field was ploughed, followed by two passes with a Lemken Terradisc and then finished with a Vaderstad Carrier consisting of discs and a crumble roller. Once satisfied with the seedbed, the peas were drilled with a Vaderstad Rapid with the coulters set at 10cm row widths. “The seed was treated with Wakil XL + GPA; the aim of this being to get early downy mildew control from the Wakil XL and better root development as well as plant establishment with the phosphite-based nutrient GPA,” Mr Lamyman says. Established plant populations were 85 plants per sq.m. Mr Lamyman believes that detailed and well-targeted crop nutrition has been critical to the crop’s success. “Leaf samples were taken at four different stages through the crop’s growth cycle in order to identify nutrient deficiencies to which the relevant products were then applied as required. As with other crops on the farm, the pea crop received foliar applications of zinc and calcium and an application of boron and molybdenum at early flower. “I have learnt a lot throughout this record attempt; nutrition of the crop is certainly key, and by making small tweaks to foliar and aphicide applications there is no reason to believe that we can’t push yields even higher next time,” he adds.